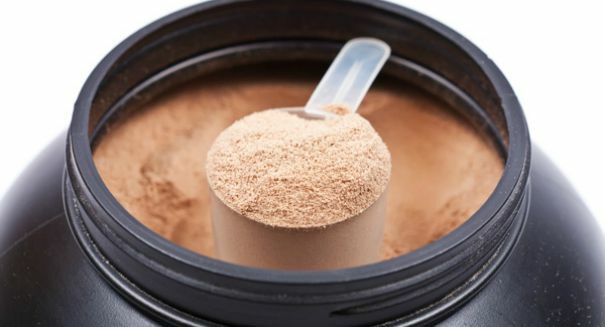 An alarming new study reveals the truth behind those common supplements people take, like creatine and whey protein powders. We recently reported that workout and bodybuilding supplements may be causing a grave risk to your body. But how? An alarming new study reveals the details. The study, which was published at the American Psychological Association’s annual convention, included 195 men between the ages of 18 and 65 who reported going to the gym at least twice a week, according to an NPR report. They also regularly consumed legal supplements for enhancing appearance or performance, including substances like whey protein, creatine, and L-carnitine, according to the report. They were asked to answer a series of questions about their use of supplements, as well as discuss their self-esteem, their body image, and their eating habits, among other things. The reality is most people don’t want to look super-ripped like Arnold Schwarzenegger anymore, and typically prefer to be muscular and lean, which is why they often reach for legal supplements as opposed to the illicit enhancers like steroids in the past. But people aren’t aware of the danger they can pose if they’re overused. About 40 percent of the participants had increased their supplement use over time, while 22 percent were using supplements to replace regular meals. A total of 8 percent of participants had been told by a physician to cut back on the use of supplements because of bad side effects, and a total of 3 percent had to be hospitalized due to damage to their kidney or liver — often caused by protein powders and similar supplements. The study found that men who used dietary supplements inappropriately were also more likely to have other problems, like eating disorders.